Blow Out! Limited to stock on hand. 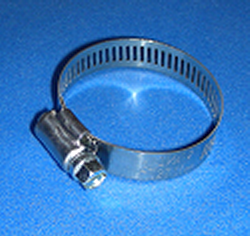 #64 Stainless steel band hose clamp, good from 3-9/16 to 4-1/2" diameter. Zinc plated screw.